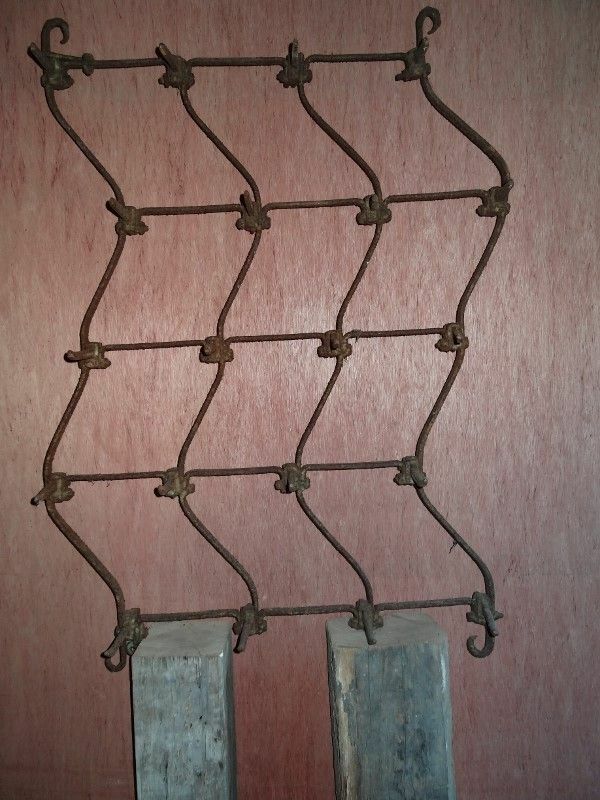 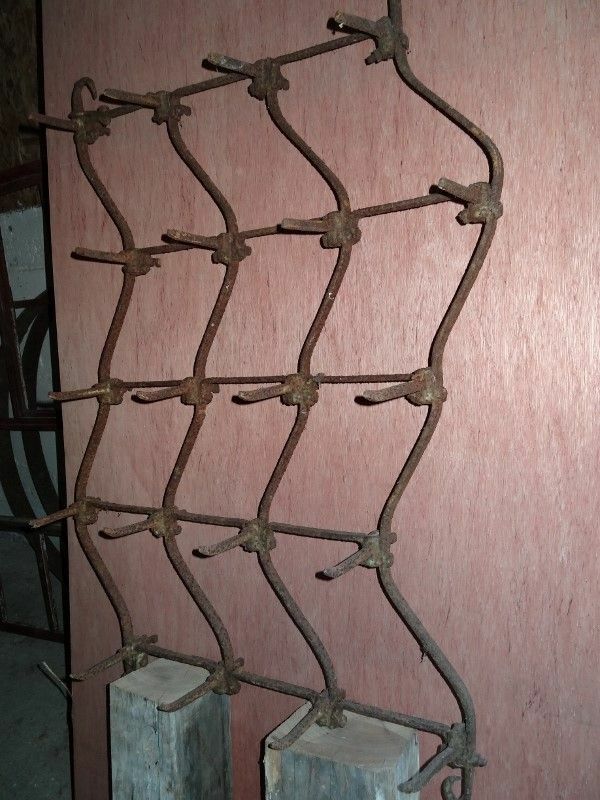 3 sets of Drag Harrows 43 ½” (110cm) tall, 31” (79cm) wide, 7 ¼” (19cm) deep. 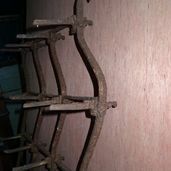 Currently rusty fresh from the farm. 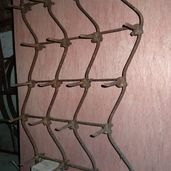 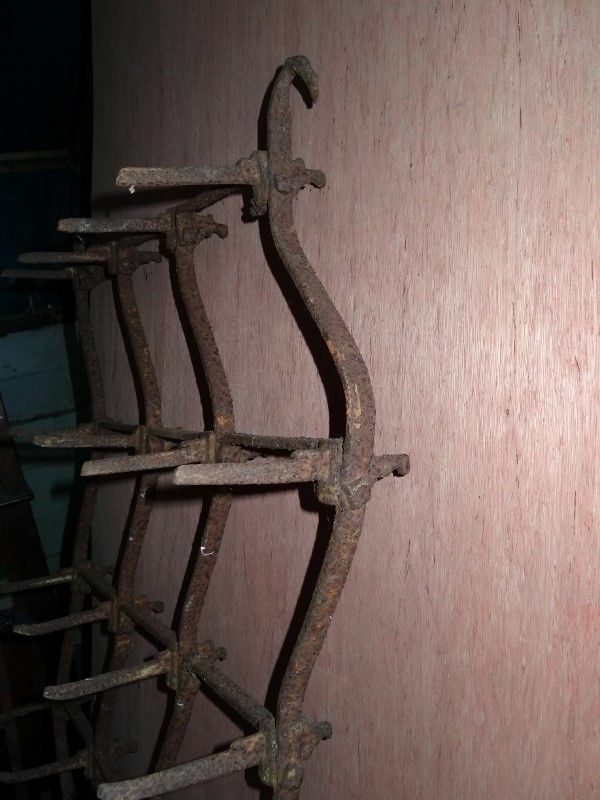 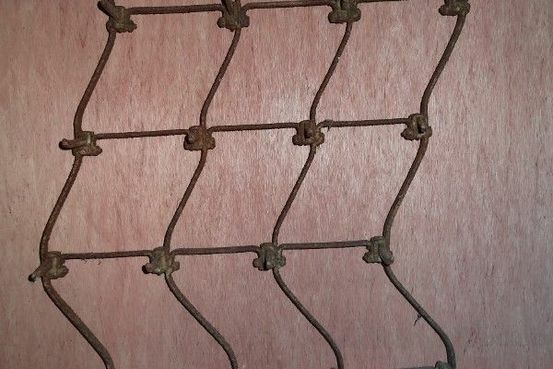 Could be used as interesting hat and coat rack, or utensil rack in a kitchen.